Born in Anhui, China. Received BFA in painting in China 1984. He earned his MFA in painting and drawing from Fort Hays State University in 1998. Since 1998, he has been a professor of art at Minnesota State University Moorhead. 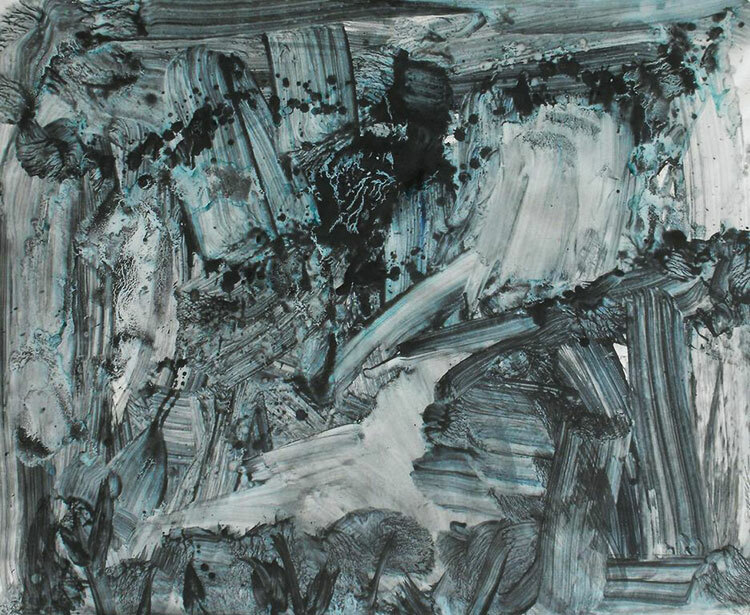 Guan has exhibited his art throughout the United States and China in museums and galleries include: China National Art Gallery in Beijing, China Academy of Fine Arts Museum in Hangzhou, Singapore Asian Artist Gallery, The Salmagundi Club, Asian Cultural Center in New York City, CCC/USA, Philadelphia, The Museum Services-Minneapolis Foundation. Minneapolis Institute of Arts; The Fraser Gallery in Washington DC; Murphy Hill Gallery in Chicago; Museum of the Southwest in Texas, North Dakota Museum of Art, Rourke Art Museum, and The Plains Art Museum in Fargo. 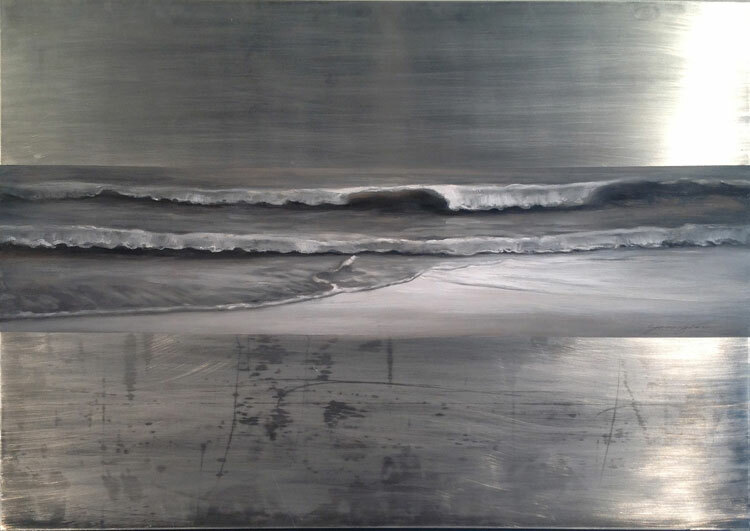 For the past 18 years, Zhimin Guan has had 20 one-man shows and has appeared in more than 200 professional exhibitions and received 25 art awards throughout the US and abroad. He received the 2010 McKnight Fellowship from the Lake Region Art Council with funding from the McKnight Foundation in Minneapolis. He participated the 2012 Contemporary Chinese Art Invitational residency and exhibition at Blue Roof Gallery in Chengdu, Sichuan province, China. 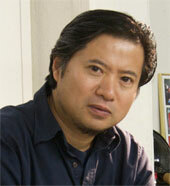 Guan’s art works and biography were published in many art magazines in China and US. 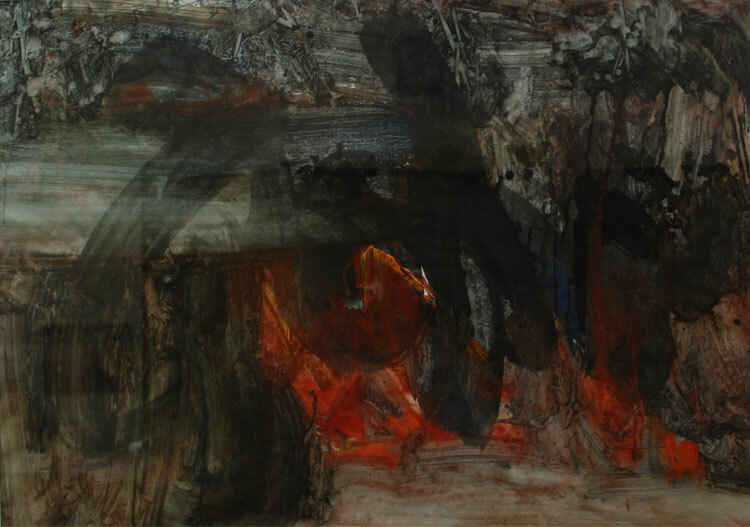 His art works are also in permanent collections of the North Dakota Museum of Art, Plains Art Museum, the Rourke Art Museum, the Microsoft, Singapore Asian Art Gallery, China Pastel Society and DanTang Art Museum in Sichuan province, China. About his work : As a painter, Zhmin Guan strives to have an equal balance of traditional and experimental, figurative and abstract in his art. 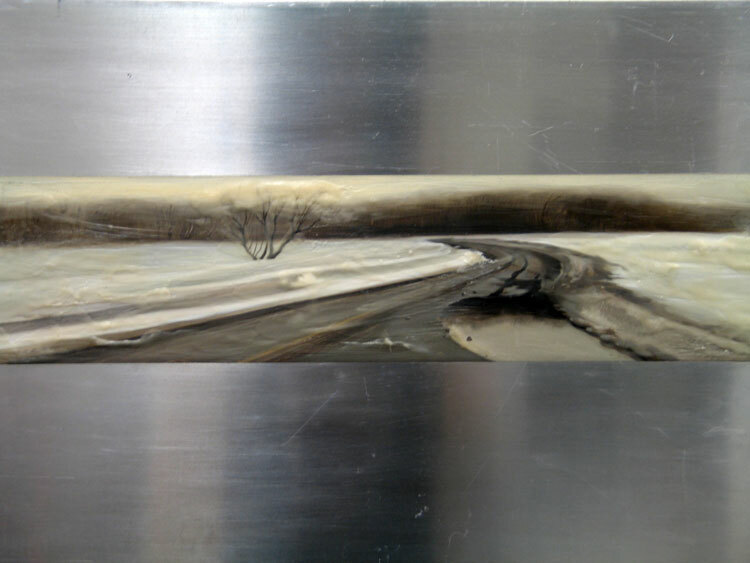 In last 18 years he has created six series of paintings which include- Fossil Series (1995-2000); Landscape Series, (1999-2002), American Dreamers Series (2002-2006), Abstract Series, (2006-2007) Landscape on Metal Painting Series (2007-2012) and the Summit Series (2012-2014). Summit Series is the new body of abstract paintings portraying mountains and water, subjects that visualize the opposite roles of Yin and Yang, solid and void, energy and charm. 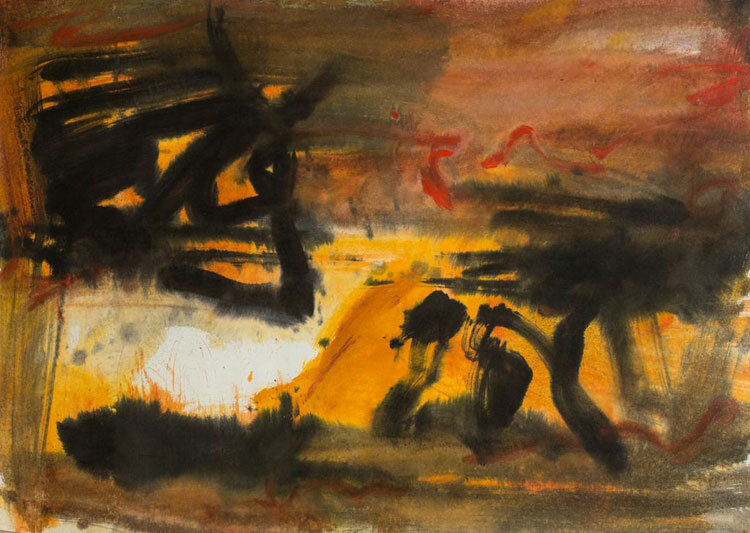 Guan created these paintings with large gestural marks, creating harmonious landscapes through form, color, and shape. His process also allows for chance happenings as his runny painting materials and gesture marks transform each other into a spiritually and physically integrated autonomy.